Your vehicle should be, both literally and figuratively, a well-oiled machine. To extend your vehicle’s life and keep it running at prime efficiency, it is crucial to have every component properly maintained – including the tires. Properly inflated tires will not only give you the best gas mileage possible and save you money; they will also keep your car roadworthy at all times. The moment you see your tires are getting bald, underinflated, or worn out, have a professional check them immediately. Always keep an eye on your tires for general wear, tread depth, and tire pressure. Make sure that you check your tire pressure regularly, especially when it’s cold. 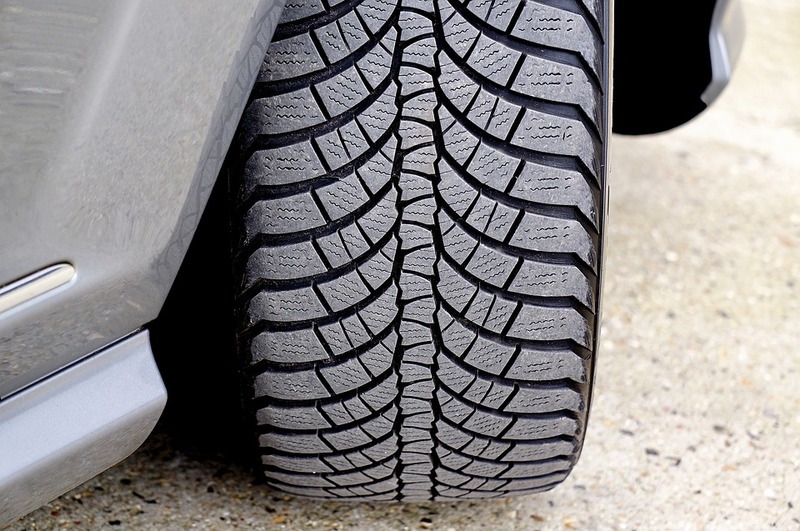 Underinflated car tires make your gas mileage suffer and can be hazardous on the road. The more you travel on underinflated tires, the weaker your tires become. Also, here’s an important tip: the best times to check your tires are when they are cold because temperature plays a crucial role in the tire’s psi. The most accurate tire reading can be obtained first thing in the morning or after they have been resting for at least a half hour. Look for the right inflation level for your tires. Check on the driver side door for a sticker indicating the weight of the vehicle and tire information along with the recommended tire pressure. Do not rely on your car’s tire sensors or the psi rating on the wall of the tire. The sticker inside of the driver’s side car door is your best reference. Never rely on the tire’s appearance when determining if it is flat. If you notice that your tires look flat, they are already extremely low on pressure. Instead, use either a dial, slide, or digital tire pressure gauge monthly to check on the psi levels. If the reading is higher than the recommended rating, press the tip of the gauge on the valve stem and let out air. Then, check the pressure readings again. Repeat until you arrive at the correct levels. When readings are low, most gas stations have pay-as-you-go air compressors that you can use to fill up your tires. Alternately, you can invest in a portable air compressor so that you can fill up your tires from your own home. This is ideal if you own multiple vehicles and live far from areas where you can inflate your tires. Don’t forget that driving with the wrong amount of tire pressure can be dangerous for car and driver. Too little pressure can cause damage to various car parts and increase your fuel consumption while overinflated tires leave less of the tire surface touching the road, causing more bumps and discomfort during the ride. Also, potholes can do significantly more damage to your vehicle if your tires are overinflated. Checking your cool tires at least once a month is a quick and easy way to keep money in your wallet, extend the life of your car, and stay safe. The tire is the most important part of a vehicle in order to function safely. Thus, it is essential to taken care of. It should be maintained to work properly without compromising the driver’s safety either. The tire usually loses up to 1 psi per month as regular driving conditions. Also, it is the driver’s responsibility to check the tire pressure at least once a month to ensure if it is inflated to the recommended psi.